Matthew qualified as a solicitor in September 2006 and has been part of bbl family law since the firm’s launch in May 2009. 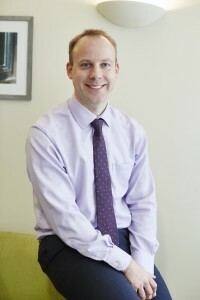 Matthew has a varied experience in dealing with all aspects of family law, including divorce and separation, civil partnership dissolution, financial matters, cohabitation, preparation of pre and post marital agreements, and private law children disputes; including those with an international element. As a member of Resolution (a national organisation which represents over 5,000 family lawyers), Matthew is committed to resolving cases in a constructive and conciliatory manner by negotiation wherever possible. His careful and considered approach towards dealing with difficult family issues is both efficient and effective. Matthew is also a committee member and Treasurer to the regional Norfolk Resolution group, as well as being an active volunteer of the Norfolk Community Legal Service initiative providing free legal advice to the community.